Saving Scotland’s Red Squirrels are working in partnership with the Mid-Nithsdale Red Squirrel Network to deliver red squirrel conservation in the Nith Valley. Together they utilise targeted grey squirrel control to prevent replacement of red squirrels by the invasive non-native grey squirrels. The control is delivered by a combination of project staff, landowners funded via The Forestry Grant Scheme, and volunteers, all trapping grey squirrels in carefully chosen project areas. You’ll be an ambassador for the group and the project, providing support to existing volunteers, project staff and partner organisations to deliver the project’s aims across the area. 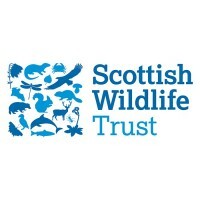 Please visit https://scottishwildlifetrust.org.uk/volunteering/saving-scotlands-red-squirrels-volunteer-grey-squirrel-control-officer-2/ to download the full role description and application.